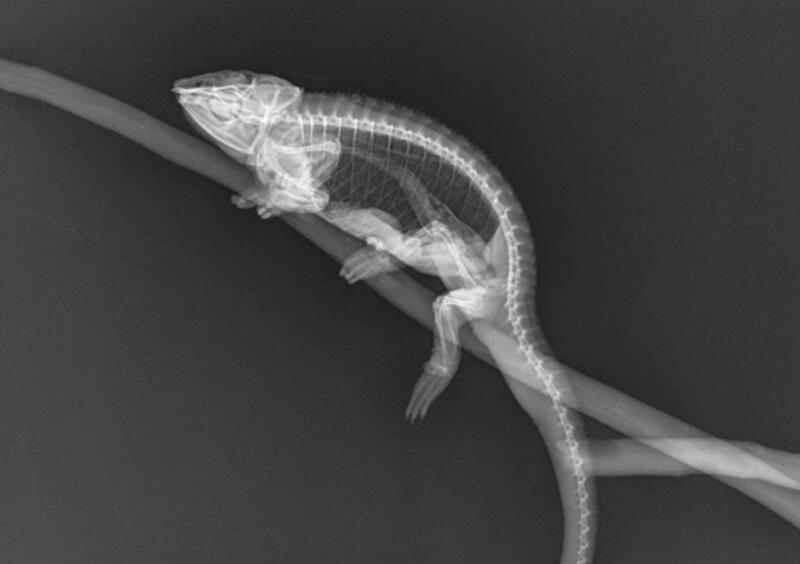 Vets at Paignton Zoo in Devon have selected a number of striking x-rays to demonstrate just how eye-catching veterinary science can be. 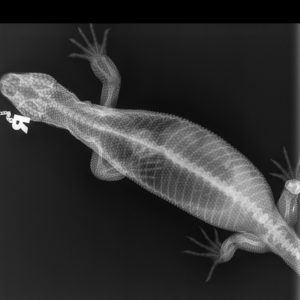 From mammals to reptiles, the x-rays – or radiographs – show animals with specific conditions, while others simply reveal the internal beauty of animal biology. 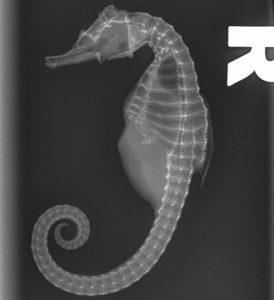 Both the seahorse from Living Coasts and the panther chameleon (main image) are fascinating and novel animal portraits. With their simple, ethereal power, these images show moments of calm in the busy working day of a zoo vet. 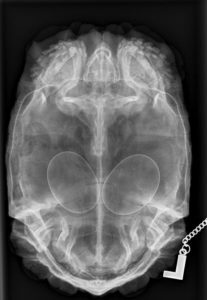 The radiograph of the beaded lizard shows the pattern of small, round scales in exquisite detail, while the hinge-back tortoise is clearly carrying two large eggs; both were laid naturally, without veterinary intervention. 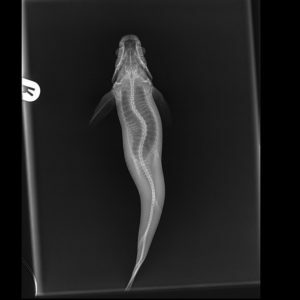 The vet team were also asked to radiograph a four-eyed fish as it had a misshapen back. 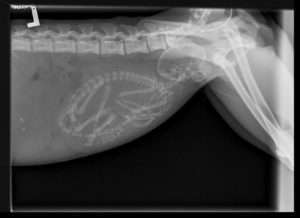 The image shows scoliosis (curvature of the spine). The fish is currently enjoying a normal life in the aquarium at Living Coasts, and will be monitored for changes in the future. The Whitley Wildlife Conservation Trust charity runs Paignton Zoo, Living Coasts in Torquay and Newquay Zoo in Cornwall.